“The market for fairs and exhibitions in Poland is growing, as confirmed by the studies and reports of the Polish Chamber of Exhibition Industry. There are more and more new fairs and exhibitions. The number of visitors, exhibitors and organisers is also growing. They come from all over the world, even from places as far away as Asia, to present their companies at exhibitions. Nonetheless, we still play a relatively small role in this respect. 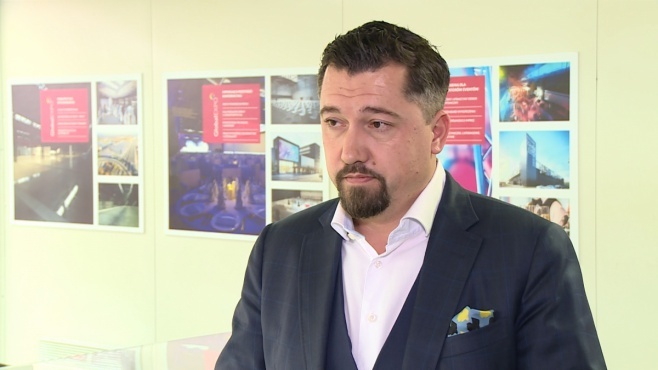 The trade fair and exhibition industry will be developing thanks to our strategic location in Europe,” Bartosz Sosnowski, Vice-President of the Management Board of the Trade Fair Convention Centre, told the Newseria Biznes information agency. 7.2% more visitors year-on-year (up to 1.54 million people), 1.7% more exhibitors (28.9 thousand companies) and 9.6% more rented area – these are the results of two hundred and eleven fairs and exhibitions held in Poland in 2016, monitored by the Polish Chamber of Exhibition Industry. The Polish market for trade fairs and exhibitions has been steadily growing for several years. When compared to Europe’s largest markets, it is rather small but well-developed. The last PIPT report for 2016 shows that most trade fairs held in Poland attract foreign exhibitors, partly because the Polish market is a bridge between the east and the west of Europe. Thanks to the investments made over the last dozen or so years in transport and trade fair infrastructure, as well as technological solutions, Polish facilities host not only regular trade fairs with related conferences and events, but also large-scale global conventions and congresses. The Vice-President of the Management Board of the Trade Fair and Convention Centre also saw Polish exhibition centres as much smaller than in Germany, France, Spain, not to mention the USA or Asia. He further stressed that such facilities must meet a number of conditions to attract trade fair, conference and event organisers. 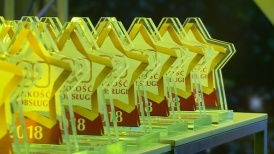 “In addition to outstanding architecture and good-quality transport infrastructure, the design must meet a set of technical requirements regarding the weight of hanging objects, power connections, sewerage, floor load and vehicle manoeuvre areas for loading and unloading before and after the event,” Bartosz Sosnowski enumerated. The organisation of congresses, conferences and trade fairs has a wide impact on the economy because it drives business tourism and commercial real property market (investments in congress centres and hotels). According to the “Poland Meetings and Events Industry” report drawn up by the Poland Convention Bureau of the Polish Tourist Organisation, the meetings industry brings more than PLN 1.57 bn worth of revenues to the Polish economy and creates over 30,000 jobs in the whole country. The MICE industry also brings economic benefits in the form of 13.9 m nights in hotels sold, PLN 122 m spent on cultural and recreational services, and costs of transport services, as well as over PLN 1 bn spent on catering services.